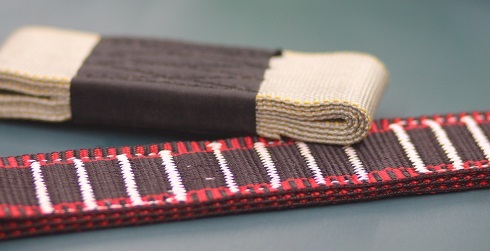 "Reinforcement stitch" (by bar tacking or pattern tacking) sewing technology is necessary to obtain extra safety and durability in the manufacturing of safety protection equipment for people and property, made of Nylon, Polyester, Polypropylene, Webbing, Kevlar, Glass fiber, Vinyl, Leather and Canvas. 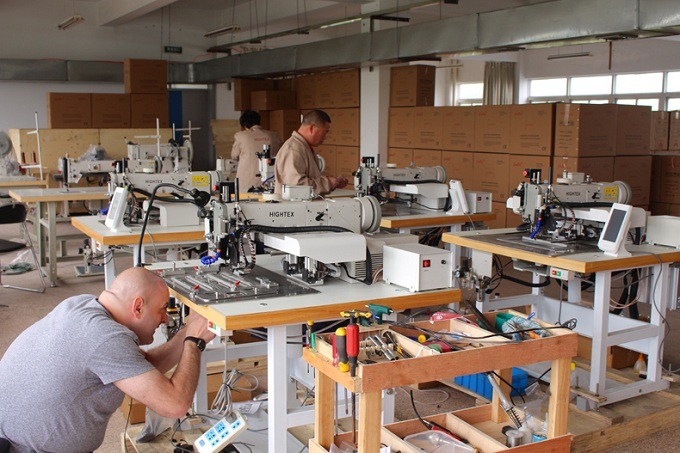 If you are to bring production back in-house, for saving cost and improve quality, you need to have a specialized industrial sewing machine. In today's ever widening world of heavy duty computerized sewing machines, how can a potential customer protect their interests and make a wise investment in a computerized sewing solution? How can any potential customer of automatic sewing machines know that they will be getting a machine suited for the job task they are trying to accomplish? Enter Hightex --- a corporation founded on the principle of providing customized sewing automation for all phases of the heavy weight sewn products industry. Other companies that manufacture sewing machines do exactly that -- they assemble components and test for correct operation, then ship the machine to the end user, unprogrammed, untested, without the proper jigging and fixturing necessary to complete the sewing projects of their customers. So the customers must then hire an engineer to program their patterns into the machine, hire fabrication shops to build the required fixtures to hold the material, test the machine on a pre-production level, and then train employees and personnel to operate the machine. Such projects of a monumental undertaking require thousands of dollars, and in some cases tens of thousands of dollars to accomplish. 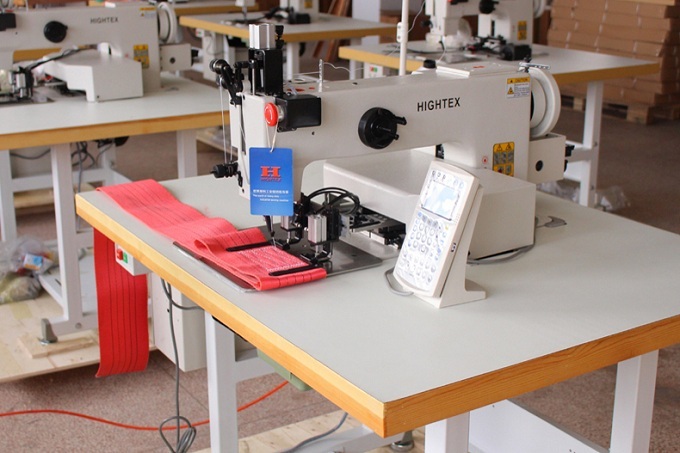 The first advantage of Hightex automatic industrial sewing machines is the customization. We realize that customized sewing solution is the most suitable product for the highest possible productivity and quality. Our sale engineers will make clear your detailed sewing requirement, select the right machine for your application. 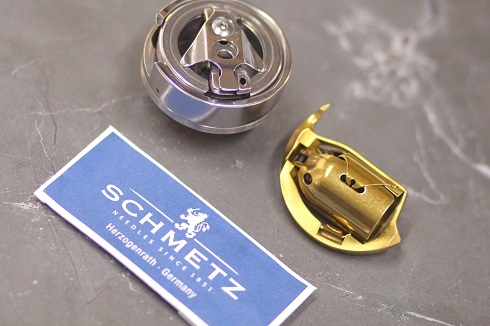 Then our field engineers will build all the necessary clamping, jigging and fixturing to accomplish the sewing task, configuring these sewing equipment properly for customer sewing requirements. 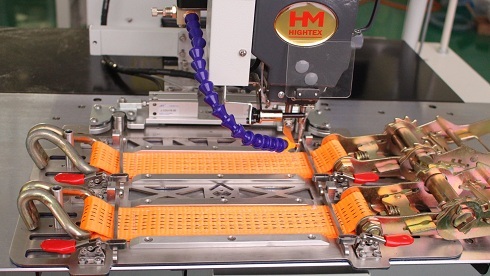 The second advantage of Hightex sewing automation equipment is "Ready-to-Operate" (customers can use the machines immediately when they receive). All HIGHTEX heavy duty automatic pattern sewing machines and bar tacking machines will be thoroughly tested and gone over by Mingyuan Industrial Sewing Application Center. This includes testing and checking all pneumatic, electrical, and computer systems for proper operation, programming the machine with all patterns supplied by the customers, and then testing the machine on samples that match exact customer specifications. These operations save the end user many thousands of dollars in extra expense, eliminating the need for outsourcing the work required to get the machine in operating condition. The third advantage of Hightex is the Spare Parts Package. At Hightex, we realize how critical it is to keep your automation running. Let's face it, equipment breaks and machines malfunction. The key objective in a manufacturing environment is to minimize unplanned downtime. This package provides the necessary parts for the first 6-7 years of operation. You can purchase the spare parts package together with machine, then no need to order any parts during this period. The maximum working area of pattern sewing machine determines the maximum sewing area you can obtain. You should double check the maximum reinforced stitching area you need, both length (X) and width (Y) must be within range of machine's working area.. Some people intend to purchase one large area programmable pattern sewing machine for stitching both small size and large size straps and belts, it is really NOT a good idea. Small area programmable pattern sewing machine is better for small area reinforcement stitch (like seat belts and harnesses). If you are to sew small item with large area programmable pattern sewing machine, you might compromise on production efficiency and seam quality. If you expect to sew many small size items (such tie down straps / lashing straps) together at one time with large field automatic pattern sewing machine, to obtain highest productivity, a custom made sewing automation is possible. For large size sewing product, it is almost necessary to have a large field programmable pattern sewing machine. We are ready to custom made sewing automation for your projects with large sew area and extra large sewing area. Custom sewing applications included Aircraft Arrestor Tapes (tapes for aircraft arrester gear), webbing cargo nets (cargo Netting and safety nets), military gear, bulletproof vest carrier, body armor, fall protection equipment, heavy duty lifting slings for boats and other offshore applications, tents and canopies, heavy duty equestrian harnesses, Tatami mats, heavy industrial slings and other custom heavy duty sewing applications. 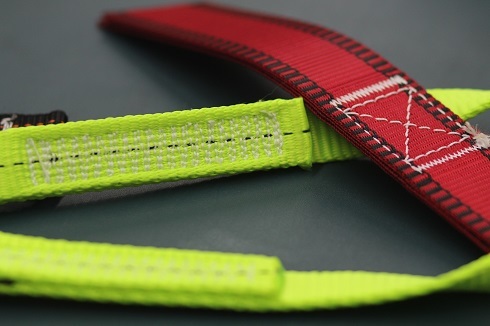 In the production of lifting slings and lashing straps (Ratchet Tie Down), reinforcement stitching area usually close to both edges of slings & straps, for obtaining ultimate seam strength. But when manufacture life vest, fall protection, safety equipment, safety harnesses, bulletproof vest carrier, body armor, Aircraft Arrestor Tapes (tapes for aircraft arrester gear), upholstery, and parachute harness etc, you need to consider the rest material besides reinforced area. The machine must have enough clearance room for passing the rest materials. 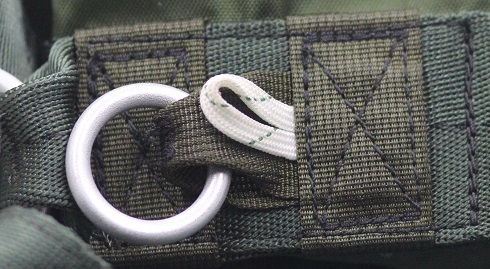 Especially when sewing parachute harness, there is almost a necessity to have customized clamps: on the buckles where there is zero distance between the sewing pattern and the clamp because they require a tight connection between the webbing and buckle. Also the thread size must match up needle size. If you produce webbing slings and straps with different size of threads, it is better purchase different size of needles together with machine. In view of same material and thickness, the linear density and stitch density have great effect on stiffness of the slings and straps. If you are to sew over 15mm thick webbing slings with extra high linear density, the needle penetration force of sewing machine must be taken into consideration. Seam strength is determined by 1) thread strength (thread type and size); 2)stitch count (number of stitches per inch); 3)weakening material from piercing with needle (type & weight of the Fabric); 4)pattern of sewing; 5) stitch balance (thread tensioning). If the stitch density (stitch length and line distance) sets too high, the synthetic fiber slings will become extremely hard and stiff, the thread will tend to break during sewing operation and the machine may be overload. In this case you may need an extremely powerful pattern sewing machine with additional needle penetration force and real needle cooler (like Hightex #72008HS). Hardware including Ratchet, shackles, thimbles, choker triangles and others can be sewn into the slings for varying applications. If you need to attach hardware onto slings & straps, the pictures, detailed dimensions and weight of your metal parts should be provided for recommending right machine. A custom made sewing machine (sewing automation) maybe required to obtain maximum efficiency and excellent stitch formation. SMD type electronic controlling system: the basic and simple automation, easy to use. Application: 71008/72008 and 75008 series. Large rotary hook can run fast, but cannot sew extra heavy material with extra thick thread. Large Barrel shuttle hook is specialist for extremely thick thread and super heavy weight materials, but the sewing speed is slow. If you specialize in manufacturing cargo lashing strap & ratchet tie down (2-3 slings construction) with sewing thread no thicker than metric size 10, V277, T-270, 840dx3. You can consider 72600PLK high speed automatic pattern tacking machine. And if you use heavier sewing threads, BARREL Shuttle pattern sewing machine is the only choice. Due to the continuously growing demands of maximum effectivity in modern production, the sewing technology is confronted with new challenges. We simultaneously develop highly efficient sewing automation for reducing operator involvement. In many cases it is possible to run two or three automated sewing units with only one person, great for saving labor cost. For example 7273CNC/X and GLK911 series heavy duty extra large area programmable pattern sewing machine. In the past years, we have developed full range of specialized and high efficiency programmable electronic controlled pattern sewing machines (with small area, large area and extra-large sewing are) to meet security required in this field. These heavy duty CNC sewing machines are particularly capable of assembling extra heavy weight materials using very thick thread. Particular for the production of synthetic slings, straps, belts, ropes, harnesses and webbing for serving high-end industrial markets such as cargo lifting and lashing, safety & protection, fire and rescue, marine, automotive, aviation, military, custom-made lifting slings for offshore, marine and industrial applications. 1. 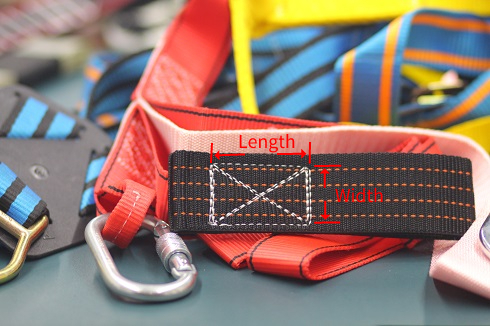 Certain factors will effect the sewing quality, for example stiffness of rope, rope size, thickness of nylon webbing, nylon webbing woven density, thread size, thread type, harness hardware / hooks and construction of rope lanyards. 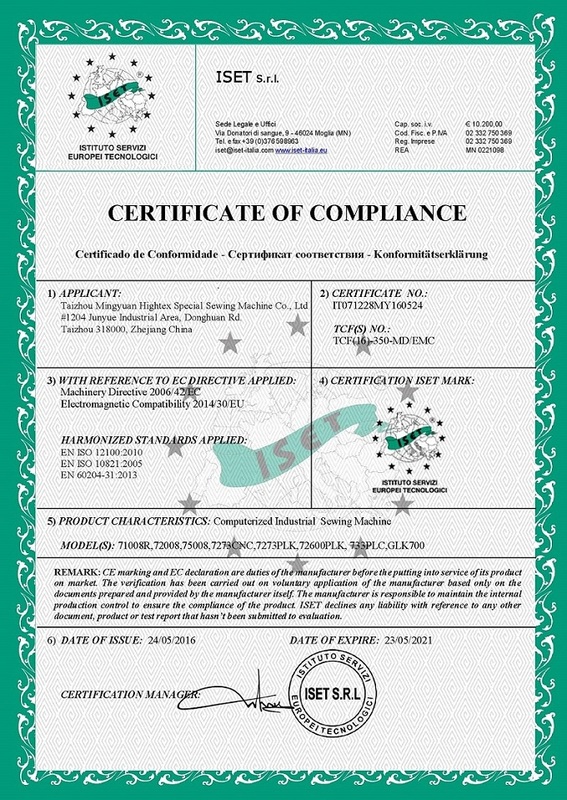 With sample material from the customer, we can custom make a sewing frame / clamp which will aggressively hold down the sample, and set the right thread tensions and sewing speed, as well as other calibration adjustments which will enable the machine to perform well in a production level environment. 2. We then test sew the machine over and over again to insure the machine will work flawlessly in production situations. This insures that you get a properly tested, adjusted, and ready to run solution out of the crate. 3. We will pre-program the machines according to the customers sewn sample and make a prototype of the customers production sample, so the customer can start production immediately when the machine is received.